Last Friday I reported how China’s smartphone market had hit its first major slowdown in 27 months, as the growth engine of Asia slowly matures. Well, I’ve been back to the analyst house where those stats came from to ask specifically who the biggest handset winners and losers are in China at the moment. Unsurprisingly Samsung remains number one with a market share of 19 per cent, followed by local players Lenovo (13 per cent), Coolpad (11 per cent) and Huawei (10 per cent). Apple rounded out the top five with a 7 per cent share – which various reports have shown was a one per cent improvement on the previous quarter and signs that things are picking up in China for the US giant. Well, I’m not quite so sure. IDC senior research manager Melissa Chau told me that the biggest year-on-year movers were actually Lenovo (+57%), Coolpad (+36 per cent) and Huawei (+26 per cent). Samsung posted not unimpressive 20 per cent growth, but Apple’s year-on-year share actually dropped 2 per cent. By comparison, its nearest rival, home-grown star Xiaomi, notched impressive 91 per cent growth to take sixth place with 6 per cent of the market. So will Apple be worried? Well yes and no, according to Chau. On the one hand the Cupertino giant has always been a high margin business, making way more money on handsets than Xiaomi and most of its Chinese rivals. To that extent it doesn’t need to shift smartphones in volumes quite so great. However, the counter argument is that Apple needs to be seen as an attractive, popular platform, for the sake of its ecosystem. “It is relevant to look at shipments because they affect Apple’s market power; it’s ability to attract developers,” Chau explained. You can’t argue with this logic. With Xiaomi’s low margin, high volume strategy potentially lifting it above Apple the last thing Cupertino wants is to be left floating outside of the leading pack, even if it is still hovering up revenue in one of its biggest markets. Much has been written about the potential sales lift Apple’s recently announced deal with China Mobile – the world’s largest operator by subscriber numbers – will give it. However, as Chau told me, this might have been overplayed by some commentators – after all, we’re not talking about a new iPhone model here. All at Apple will be hoping that creates more buzz than its last major launch here. Or it could seriously be time to go back to the drawing board. A few of you may have seen that last week I wrote about improving momentum behind mobile OS project Tizen. Well now I have a bit more detail from some of the key players involved. For those who haven’t heard of it, Tizen is an open source alternative to Android, iOS and Windows Phone. Begun in 2011 by the Linux Foundation, it’s already got the backing of Samsung, Huawei, Intel Vodafone, Orange and NTT Docomo. However, as of yet there are still no handsets, despite much expectation to the contrary. Unruffled, last week the Tizen Association announced an impressive 15 new members, which bodes well for the on-going prosperity of the platform..
On second glance, though, it’s not as positive a news story as it seems. First up there are only four major mobile names among the 15 – ZTE, Softbank Mobile, Sprint and Baidu – with the rest a group of smallish mobile game and software makers, few of which I’d heard of. I asked the firms whether their joining the association meant we could finally expect a handset to have a look at, but sadly even this prospect is unlikely. A spokesman for Japanese operator Softbank said that “currently nothing is decided on the future development of Tizen OS smartphones”. SoftBank Mobile joined the Tizen Association Partner Program to study the platform technology. Unlike some of the board members (like NTT DOCOMO), we are not taking an active role in developing or promoting Tizen. We have participated in developer conferences in the past, too. ZTE’s membership is consistent with the company’s multi-platform approach to product development. ZTE’s comprehensive line-up of mobile devices includes products that support different platforms including Android, Windows and Firefox OS. Hardly a ringing endorsement from either party then. So will we ever see a Tizen phone? NTT Docomo has backtracked on plans to launch this spring, apparently stating that “the market is not big enough to support three operating systems at this time”. That said, the invites have already been sent out to hacks attending Mobile World Congress of a Tizen press conference in which the association is said to be finally showing off some actual hardware. It better be good. Even with Samsung on board, time’s running out and the market is barely big enough for Windows Phone – not to mention the likes of Firefox OS, Sailfish and others – let alone a fourth name. I’ve been doing a bit of work researching a piece on the latest Lenovo bombshell to hit the tech world – its $2.9bn bid for Motorola Mobility. Now, in my innocence, I reckoned there might be quite a few hurdles for Lenovo on this one, but the analysts I spoke to were pretty upbeat on the deal. Remarkably, most were pretty confident this was a good buy and that it’ll help propel the firm to third in the global smartphone stakes in a matter of a couple of year. · Immediate entry to the US market, Motorola’s major market, as well as key markets in Western Europe and Latin America. · A unique relationship with Google. · Credibility with operators and consumers worldwide. · Existing US operator relationships and a handful of global ones. 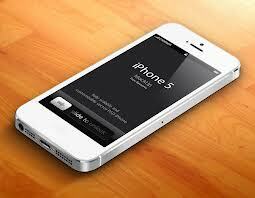 · Additional experienced phone sales teams. 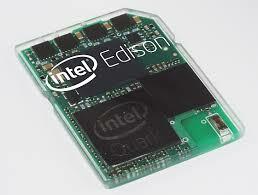 · Additional and highly rated phone engineers. · Additional tablet and phone shipments, as it becomes the key manufacturer of Google’s Nexus line. Hard to argue with that lot. It’s also hard to see how Lenovo could have done better than Motorola – there wasn’t much choice out there, after all (BlackBerry? HTC?). Except that doesn’t mean it’s going to be a success. Although it has high brand recognition in the US, Motorola is a fading star, with neither innovative designs or huge volume sales to its name. I wonder then if it’s really going to give Lenovo that huge leg-up into the US smartphone space it desperately wants. 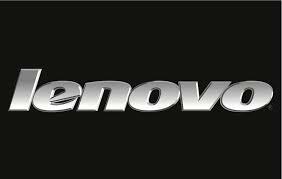 I’ll be even more surprised if Lenovo merges the two brands, as various analysts told me will happen eventually, unless Plan A has succeeded perfectly. The thing I imagined would cause the biggest potential roadblock is a US political backlash. Lawmakers can be a pretty obstinate bunch, especially when they feel their country is being invaded by ‘foreign hordes’. It’s certainly right to say that Lenovo has a better relationship with the US government – where ThinkPads are still used – than most Chinese firms, and that consumer smartphones are hardly a national security matter, unlike telecoms infrastructure (sorry Huawei, ZTE). But I still think there’s the potential for a unwelcome bit of political interference here, especially if some more news comes to light on Chinese spying and state links to tech firms. Given the stakes, it’s not surprising Lenovo has apparently hired some big name attorneys, some of whom have worked for the CIA and Homeland Security, to help it lobby the deal through. Lashford even speculated that “announcing two deals in one month will ease its progress, not complicate it”. I suppose we’ll all have to wait and see on that one. One thing’s for certain: Motorola employees will be a happy bunch. I wonder how may will be queuing up for Lenovo CEO Yang Yuanqing’s annual $3m employee bonus giveaway?